Android sales tipped to overtake iPhone by end of year | What Hi-Fi? 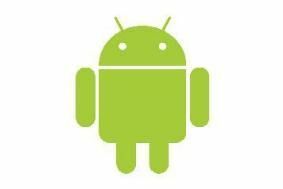 And according to research by AdMob and Ovum, Android handsets and apps could both soon overtake Apple handsets and app downloads in popularity. First pinch of salt to be taken: AdMob, unsurprisingly a mobile advertising agency, is owned by Google, so it's perhap no surprise to see they're firmly part of the Android cheerleading family. That said, the company's assertion that Android users will outnumber iPhone users by the end of this year is a bold one. Ovum, meanwhile, reckons that the Android platform will be responsible for 26 per cent of app downloads by 2015, compared to 22 per cent for the iPhone (down from 67 per cent last year). As we reported earlier this month, LG is just one manufacturer planning to flood the market with Android handsets, while Google's Internet TV will also use the Android platform. With pressure (perhaps) mounting at Apple HQ as a result of grumbles over reception issues with the iPhone 4, it looks set to be an interesting and competitive year for multimedia mobiles.